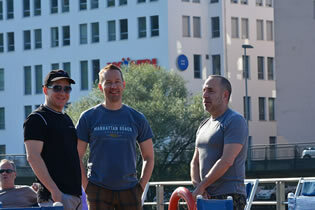 10-day all-gay adventure starting in one of Europe's most attractive cities - Prague! 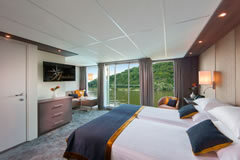 Cruise from picturesque Passau to Linz, Melk, Vienna, Bratislava ending in Budapest, Hungary. Your all-inclusive adventure begins in Prague. 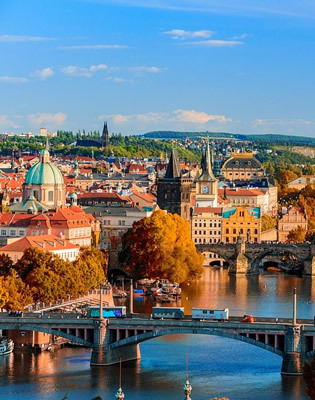 Enjoy two days in one of Europe’s most beautiful and best-preserved cities, Prague’s medieval center remains a beautiful mixture of cobblestone pathways and Gothic cathedrals. 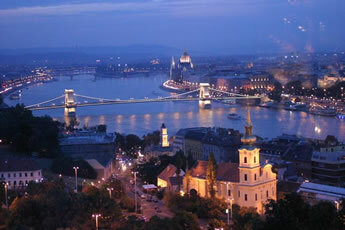 From Prague we travel to one of Europe’s most fabled rivers, the Danube. 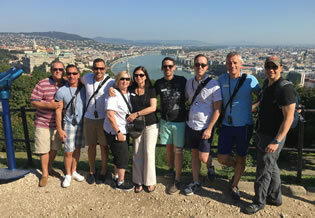 Your trip all-LGBT cruise journeys from picturesque Passau to Melk, Vienna, Bratislava and culminates in in the vibrant Hungarian city of Budapest, one of Europe’s hottest destinations. 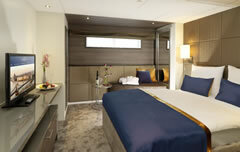 On board the gorgeous Amadeus Queen, you will be pampered by a crew of forty in an atmosphere of total relaxation. 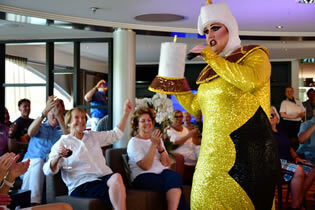 With this great riverboat, we’ve created an itinerary that includes the three of best European cities which have become prime destinations for gay and lesbian travelers. 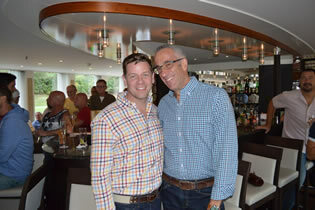 This gay cruise vacation has it all – historic sites, charming towns, world-class wine and cuisine and more! This morning’s included sightseeing reveals why Prague is considered one of Europe’s most attractive cities. You’ll have the opportunity to visit the Church of Tyn, see the famous Astronomical Clock and walk over the spectacular Charles Bridge. Your afternoon is free to mix with the locals at Wenceslaus Square, shop for souvenirs or enjoy one of the charming cafés or restaurants. Wander along the banks of the Vltava River, relax at an outdoor restaurant, or shop for local handicrafts and art work. After breakfast, drive from Prague through the pastoral countryside to Passau, where the Rivers Inn and Ilz join the Danube. 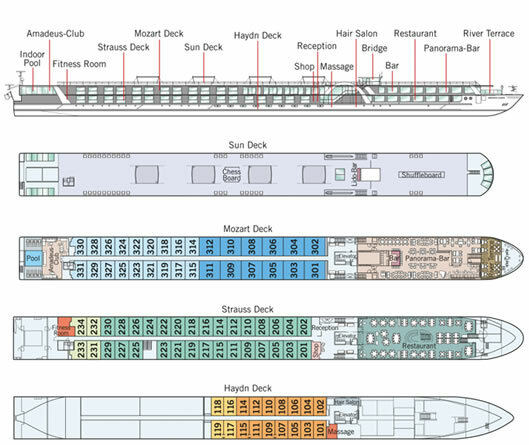 Welcome aboard the Amadeus Queen, your home for the next seven nights. 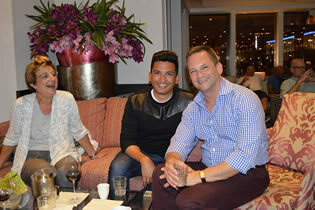 Tonight gather on board for a Gala Welcome Dinner. 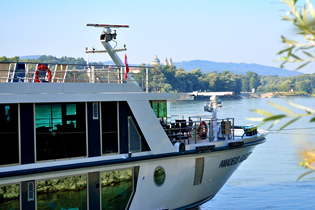 Cruise through the narrow Strudengau and reach the Wachau Valley early this morning. 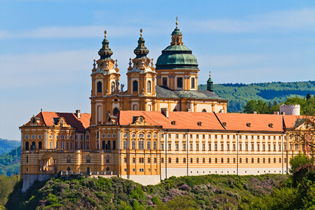 We arrive in Melk home of the magnificent Benedictine Abbey, one of Europe’s largest baroque monasteries. Return to the ship for lunch and scenic sailing through the romantic Wachau Valley. Later this afternoon we visit enchanting Durnstein and taste some of the local wines. 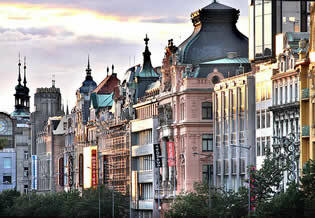 Late this evening arrive in Vienna, the “City of Music” and Austria’s magnificent capital. Today explore the vibrant Austrian capital and savor the Baroque elegance of romantic Vienna on the guided city tour which includes the world famous Vienna Opera House, Ringstrasse, St. Stephen’s Cathedral and more. The tour is followed by free time in the city center to shop for souvenirs or sampling some of Vienna’s famous pastries. The remainder of the day is yours to explore the city in your own way. Another day in Vienna is yours to enjoy as you like. Relax onboard, stroll the city at your own pace or take the included tour of Schonbrunn Palace and its beautiful gardens. This evening take in an optional Mozart and Strauss concert at the beautiful Kursalon in Vienna’s city center. This morning, a sightseeing tour takes you to historic Buda Castle, where you can enjoy a splendid view of the twin cities of Buda and Pest. 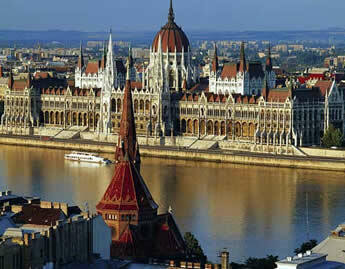 Your tour also features the Fisherman’s Bastion, the Royal Palace, St. Stephen’s Basilica, Heroes’ Square and more. 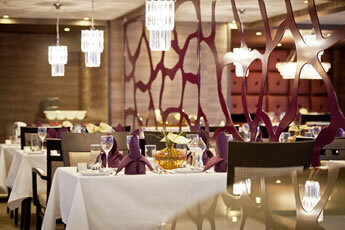 After dinner, the ship will sail a special evening cruise past the city’s beautiful riverfront. 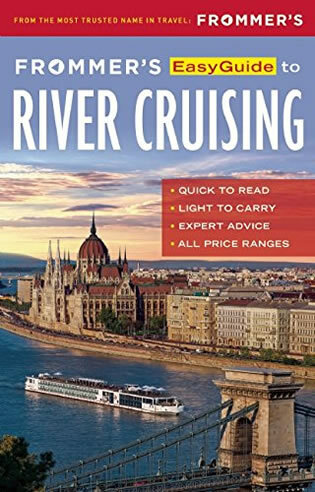 • Itinerary with stops in five countries. 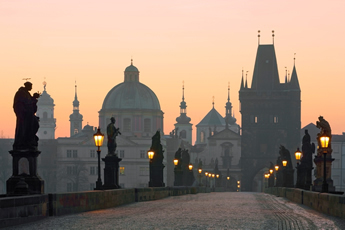 • Charles Bridge – one of the most recognizable old bridges in Europe. • Prague’s Old Town Square with Astronomical Clock. 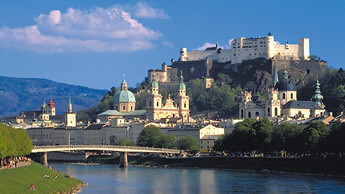 • Melk’s Benedictine Abbey – Austria’s largest Baroque structure in Austria. • Schonbrunn Palace – the former residence of the Habsburg emperors. • St. Stephen’s Cathedral – Vienna’s most important Gothic edifice, built in 1722. • Széchenyi Chain Bridge – the twin-towered bridge opened in 1849 and was the first bridge linking Buda and Pest together. • Basilica of St Stephen – neo-classical cathedral containing the mummified hand of St Stephen. 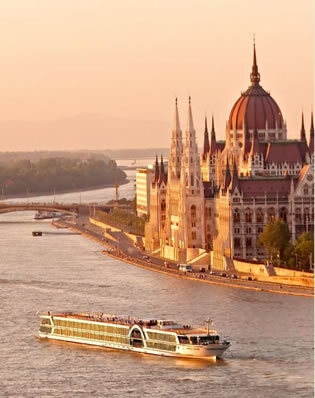 • Farewell Illuminations evening cruise in Budapest. 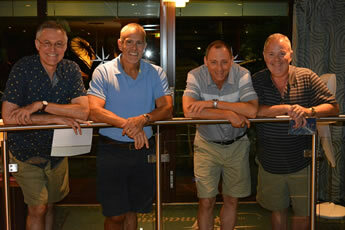 We recommend comfortable casual clothes and good walking shoes for touring. Jeans, shorts and t-shirts are perfectly fine for during the day, while at night we recommend country club casual. We also suggest you pack workout clothes, swimwear, light jacket or sweater and a light rain jacket or umbrella. Jackets and ties are not required. Initial deposit is $850 per person, with final payment due by April 19, 2020.